Set F is an economical Trophy Set for any occasion. All trophies are single column and are 19, 18, and 17 inches tall. (All heights are based on a figure height of 5 inches, sizes may vary depending on your figure selection). Choose your column color and base color to customize your award. 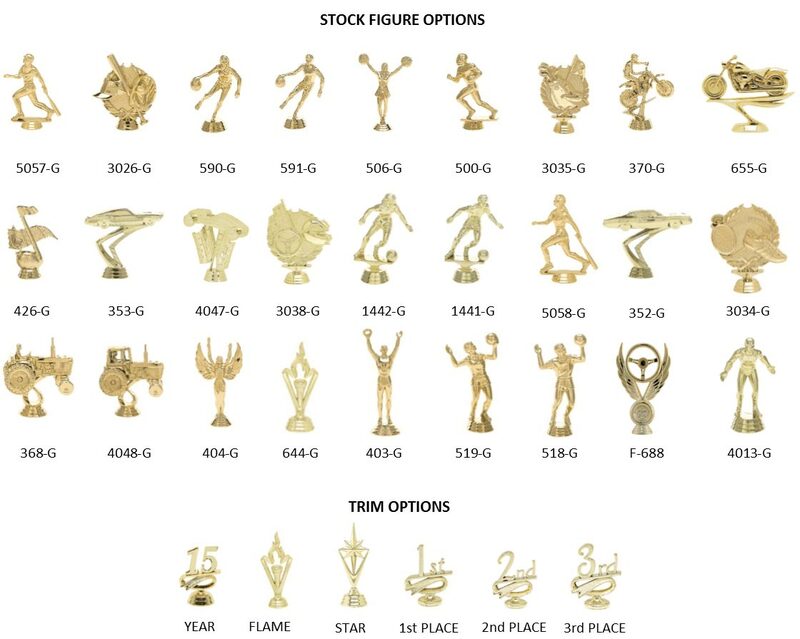 Trim and figure options can also customize your trophy. Engraving is Free and choose or design your custom mylar insert to dazzle your winners even more. Click the button below to add the SET F to your wish list.